All 78 keys can be programmed with unlimited characters. Programming the KB-78H doesn’t require a TSR (terminate and stay resident) program, so it will avoid application software crashes your business may have experienced when you programmed other keyboards.You have the option to add functionality to the KB-78H to suit your business, such as a smart card reader, MSR, RFID, or biometric fingerprint scanner so you can support processes that help your team provide fast and convenient customer service. 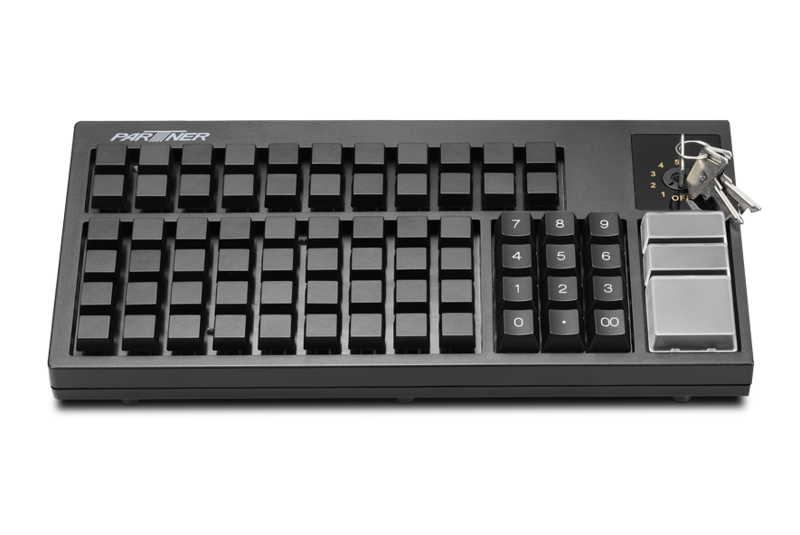 The keyboard is constructed of a high quality, tactile membrane that helps staff members input data quickly. The KB-78H is also easy to maintain — damaged keys can be easily replaced saving downtime and the cost of having to replace the entire keyboard. 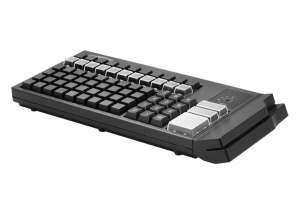 The KB-78H’s high-quality construction make it the ideal choice for busy retail and restaurant environments that need a peripheral that can stand up to high-volume use. 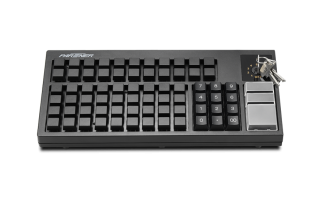 It also features an internal metal plate that protects the keyboard from damage from electrostatic discharge. You can add an optional six-position key lock that allows you to limit access to certain functions depending on job function. The key lock is constructed to last — it’s tested to keep performing through 25,000 uses. All 78 keys can be programmed with unlimited characters. 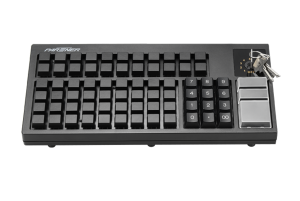 Programming the KB-78H doesn’t require a TSR (terminate and stay resident) program, so it will avoid application software crashes your business may have experienced when you programmed other keyboards. 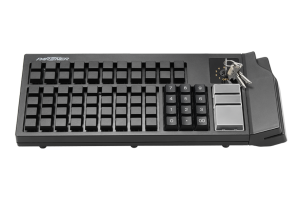 You have the option to add functionality to the KB-78H to suit your business, such as a smart card reader, MSR, RFID, or biometric fingerprint scanner so you can support processes that help your team provide fast and convenient customer service. The KB-78H connects to your POS system with a PS2 interface or optional USB connection. OPOS (OLE for Retail POS), for Unified POS is supported. 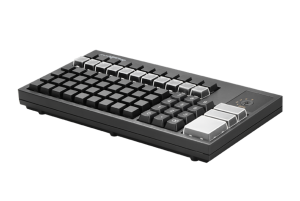 The KB-78H is available is black or light grey and it is suitable for use almost anywhere with a width of just under 13 inches (about 14 inches with MSR).